Un alfajor son dos galletitas redondas y dulces con dulce de leche en el medio (como un sandwich), cubiertas con chocolate. ¿Y cuál es tu alfajor favorito? No sé… hay muchos y todos me gustan. Ah, bueno, entonces ¿cuáles son tus marcas (brands) de alfajor favoritas? El “Capitán del espacio”, “Terrabusi” de chocolate y “Jorgelín” triple son los que más me gustan. (!) 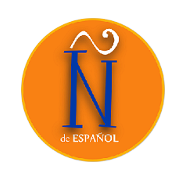 We use qué when we ask for a definition = ¿Qué es un alfajor? (!) We use cuál (singular) or cuáles (plural) to select an item from a group= ¿Cuál es tu alfajor favorito? An alfajor is a sweet snack: two cookies with “dulce de leche” inside (like a sandwich) covered with chocolate. Usually, they are not homemade. You can buy them in a “kiosco” but not in a bakery. 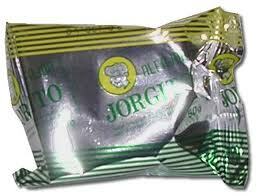 Jorgito- It is a classic: simple but very good. It brings us memories from primary school: a cheap and tasty snack to eat on the breaks. Terrabusi- Another classic with a more “mature” touch. The chocolate is bitter and the taste is more intense. You will notice the difference when you see the elegant packaging. Cachafaz- It’s the most “gourmet” option and the most expensive one too. Águila minitorta- It’s sweet bomb: bigger than others and filled with dulce de leche and meringue. It’s The option for those moments when you NEED a carbohydrats extra-dose. Capitán del espacio- Unexpectedly delicious (don’t prejudge it for its old fashioned and cheap packaging!). It’s more a myth than an actual alfajor. Since it’s made by a small family factory in Quilmes (to the south of Buenos Aires), it’s difficult to get it. Everybody has its own favorite alfajor, but “Capitán del espacio” goes beyond: it has fans.